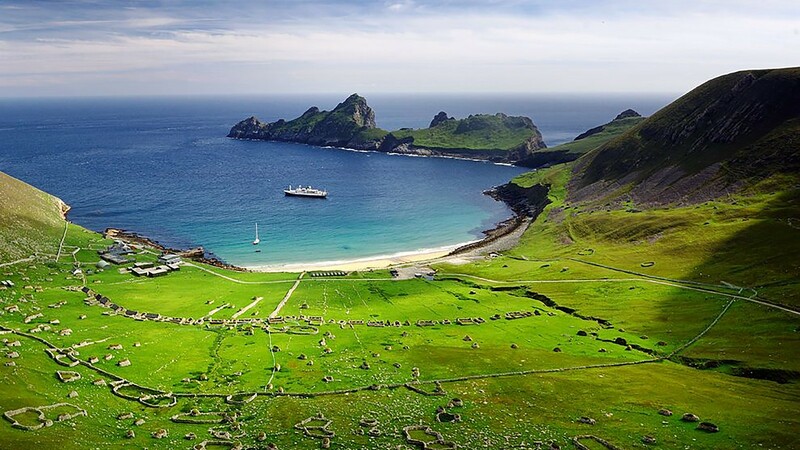 St Kilda is the most remote British archipelago, 100 miles off the west coast of Scotland. 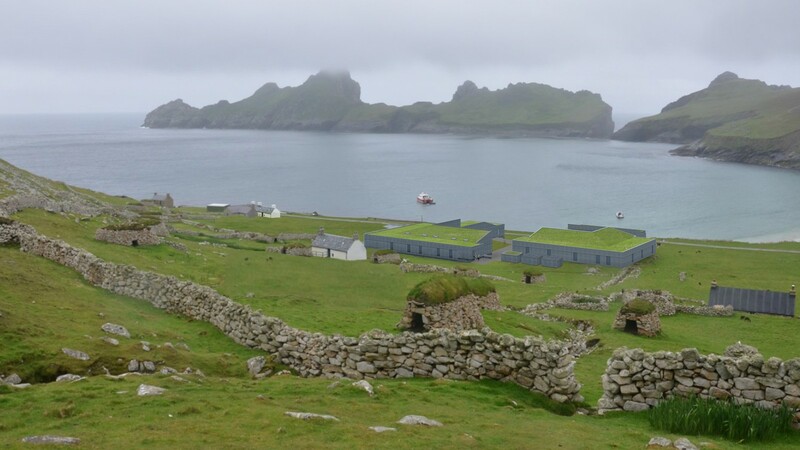 The Ministry of Defence (MoD) have been operating a year round station on Hirta, the largest island, since 1957. The archipelago is owned by the National Trust for Scotland and is a World Heritage Site for both natural ecological and archaeological significance. St Kilda achieved World Heritage status for its outstanding natural heritage and was among the very first sites put forward by the UK for inscription on the World Heritage List in 1986. In 2004, the inscription was extended to include the surrounding marine environment and in 2005 the archipelago became the UK’s first and only mixed World Heritage Site, and one of only 35 worldwide when the islands’ relict cultural landscape was also inscribed on the World Heritage List. High winds are a regular feature with maximum gusts of 300 km/h recorded on Hirta. 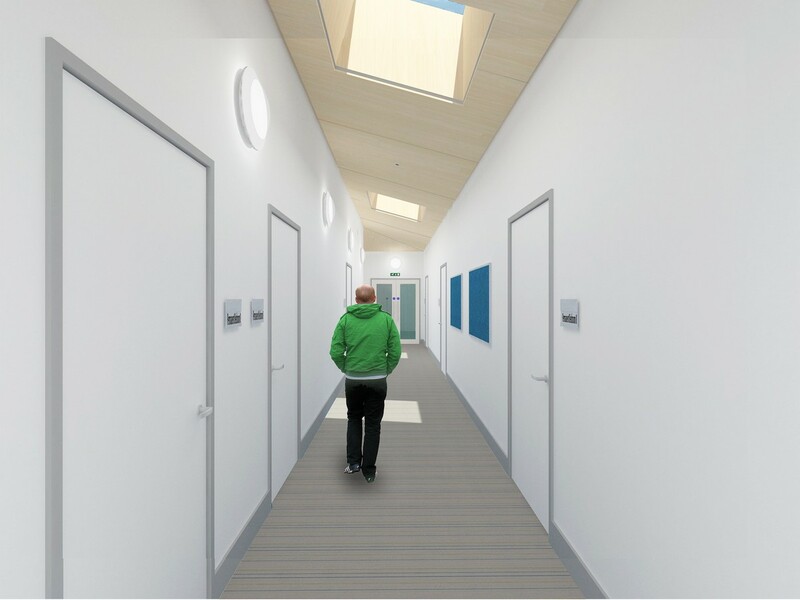 The new facility will provide accommodation for 8 permanent staff with space for 12 temporary staff. 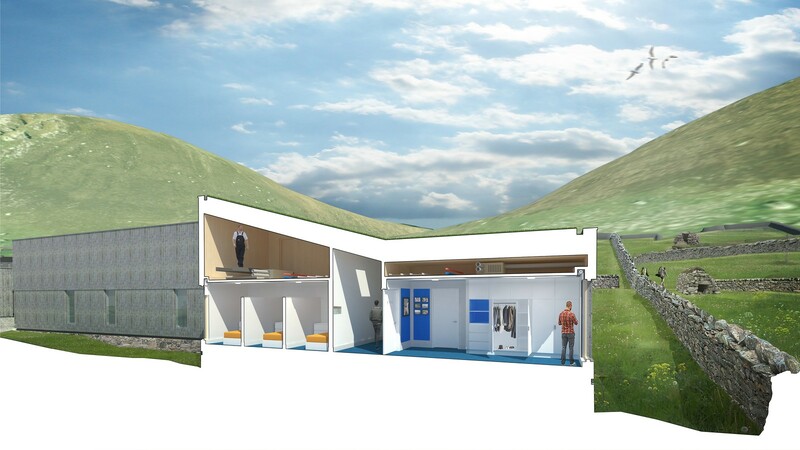 The project comprises an accommodation building and a new energy centre for the island’s three generators. The 1,000 m2 accommodation building is being constructed on a composite insitu and precast concrete slab foundation while the steel framed energy centre is constructed on an insitu slab foundation. 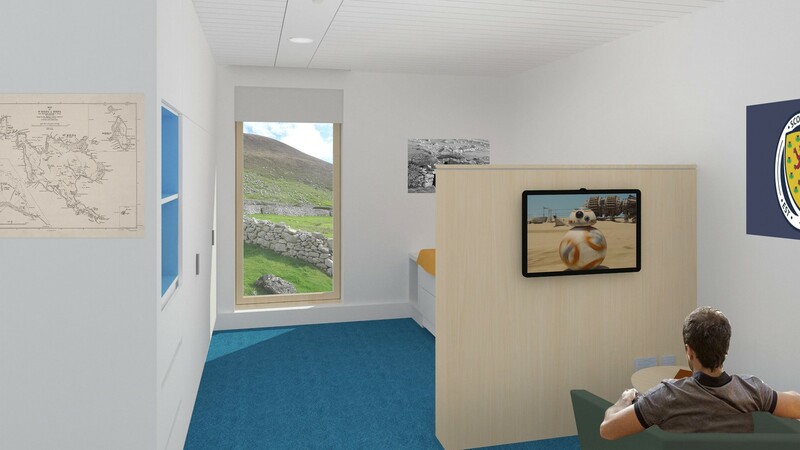 The lower segments of the new buildings will be curtained with stone designed to blend into the St Kildan landscape as well as offering an architectural echo of the nearby abandoned cottages and cleits of Village Bay. The superstructure of the accommodation building is formed in CLT (cross laminated timber) floor, wall and roof panels. 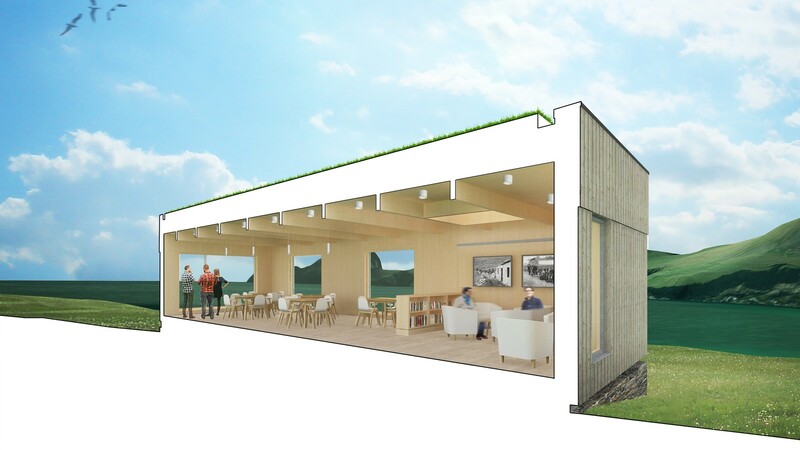 As the insulation and cladding are added to the outside of the CLT, it can be specified to provide the interior finish, creating a warm, timber aesthetic. 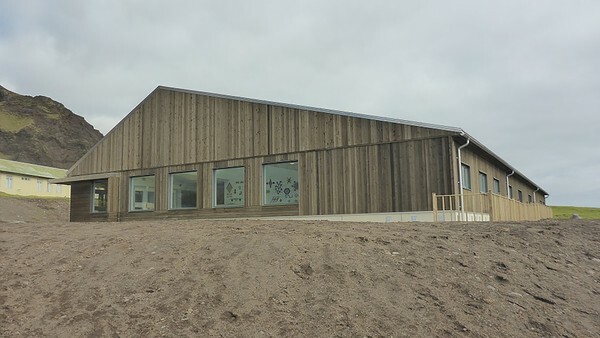 The building is clad in board-on-board Siberian Larch fixed on battens and counter battens to ensure airflow behind. The untreated Larch boards will weather with time and merge with the surrounding scenery. Larch was selected both for its aesthetic quality and performance in a marine environment. The roofs will be constructed in CLT finished with a roofing membrane and planted with native St Kildan grasses to minimise visual impact when seen from above. The design has been developed using Building Information Modelling (BIM) technology throughout and construction will take two years to complete – the rough Atlantic waters mean that there is only one short season in the summer of each year when it is possible to guarantee regular access by boat. The new facility will be handed over to the MoD in 2019.